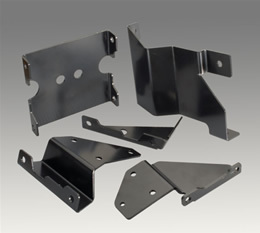 Winzeler Stamping | Stainless Steel Stamping – Metal Stamping | Winzeler Stamping Co.
Winzeler Stamping Company manufactures and supplies metal stamping components to the heavy-duty class eight truck market, the agricultural & heavy equipment markets, and other off-road vehicle industries. We specialize in the mid to high volume contract manufacturing of precision components up to a quarter inch in thickness utilizing our Komatsu presses and up to 440 tons of progressive power. With a bed size of up to 122” by 61”, we have the capability of producing sizable heavy gauge carbon steel and Stainless Steel Stampings. Secondary and support services are also available to our customers. Winzeler Stamping Company offers our customers the benefits of streamlined manufacturing and single-source responsibility for quality. 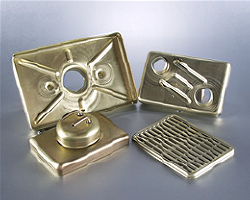 Our fully integrated engineering, in-house tool design & build, and manufacturing facility gives Winzeler Stamping Company the flexibility to handle all aspects of your production needs. We work to form partnerships and successful relationships with our customers; and our goal is to work collaboratively to ensure the highest standards of quality are achieved. Winzeler Stamping Company has increased its presence in the Heavy Duty & Off-Road Vehicle markets as a premier diesel engine injector sleeve manufacturer. With tougher emissions standards and increased warranty requirements, the performance of diesel engines is continually being pushed to new heights. Our injector sleeves are manufactured with tighter tolerances and with better grades of material to achieve a sleeve that will provide maximum results. We are the supplier of choice to some of the world’s premier OEMs and we continue to be involved in the evolution of the injector sleeve as the industry continually changes. 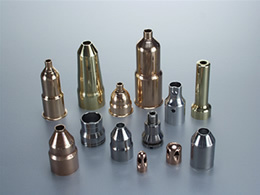 Winzeler Stamping Company's fuel injector sleeves are available for both OEM and aftermarket requirements. Looking to source a partnering manufacturer? 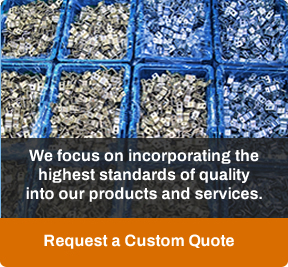 Contact Us to discuss your project, or send a RFQ now.